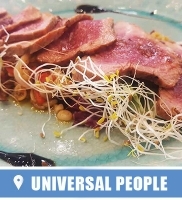 (Leer en español) Seville is a gastronomic city. 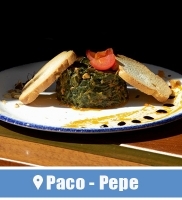 The culture of the tapas is enjoyed since decades. Although there are many culinary innovations in their kitchens, the most typical tapas of Seville are still the most popular choice between neighbors and visitors. 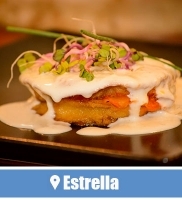 Living in or visiting Seville allows you to taste much of the traditional Sevillian, Andalusian and Spanish gastronomy. The possibility of to eat tapas and small portions, makes the visit to the bar or restaurant a great experience of flavors. Very popular starters or quick snacks. The papas are cooked potatoes, with onion, parsley, oil, vinegar and salt that usually have a few fish fillets on top. Tomatoes are sliced with garlic, oregano, thyme, oil, vinegar, salt and some original touch of the chef. 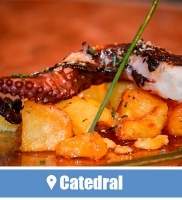 If we have to choose where to order these tapas, we like Bar Catedral, a restaurant that combines tradition and avant-garde, but that prepares a typical meal that reminds us of our home. A healthy dish for to gain energy for the whole day. Its own name reveals what it consists of … A little garlic, paprika, cumin, vinegar, oil and laurel is added… and some more if the chef wants to innovate. Like all the tapas that we are talking about, it is in a multitude of restaurants. We like it in Bodega Donaire. A traditional bar in the neighborhood of Alfalfa. Is the most typical montadito (small sandwich) of Seville, perhaps with the Serranito. Pringá is a cooked mix of meat, which in Seville is usually crumbled or crushed and spread like a pate to make sandwiches. It may include pork and ham, chicken, black pudding, bacon, sausage … and what each stew carries. 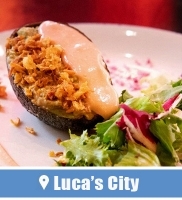 It is a delicious bite that you must to taste in different places for to choose your favorite. Ours is in La Sacristía. We love her homemade pringá and we could not fail to recommend it. Cold tapas to enjoy all year. Each home puts its touch to this recipe that is based on a vegetable mix. The salmorejo is originally from Córdoba … but we have welcomed this tapa as ours too. The main ingredients are bread, tomato, garlic, salt and oil, topped with some iberian ham and boiled egg. As we say, there are several versions and each chef gives his special touch. We could say that salmorejo is a type of cold gazpacho. Gazpacho consists of making a combination of vegetables. 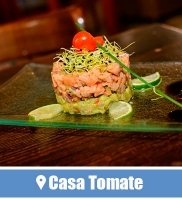 Tomato, cucumber, pepper, onion … In Seville it is less thick than salmorejo and is usually drunk to cool off. 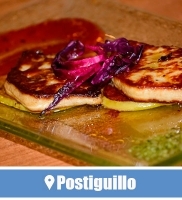 Two of the most typical tapas of Seville that you will find in almost all the restaurants. 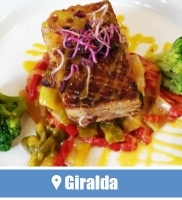 We recommend you to try it at Cerveceria Giralda. 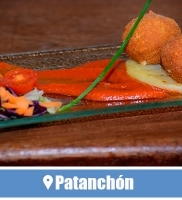 Decades of tradition that are demonstrated in the traditional elaboration of the usual dishes. The carrillada, pork cheeks stew, is always a plentiful and tasty dish. Large portions in the form of a traditional and spectacular stew. It is so tender that it melts in your mouth and you will need bread to dip the sauce. 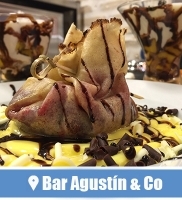 Like all the most typical tapas of Seville, this stew has a concrete elaboration but in every bar you will find a different recipe. 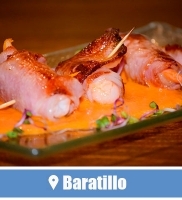 The one that we like more and we recommend you is the one of Baratillo, in front of the back of the Maestranza Bullring. It is another meat that melts in your mouth, a typical dish that is a must. 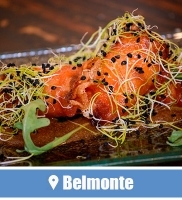 There are several that we like in Seville, but we are going to choose a bullfighting bar for to recommend you, Taberna Belmonte. The main thing for this tapa is a good pork sirloin. The traditional recipe is for the whiskey sauce that covers the meat. Sometimes the whiskey is replaced by cognac. Garlic, white wine, lemon and any touch that the cook wants is added to this to flambe in the pan. An exquisite and traditional recipe that almost everyone likes. 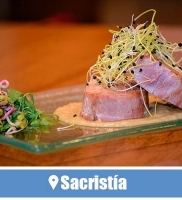 Although it is a more typical of the coastal areas dish, in Seville there are very good fish. The proximity to other cities with sea, make the fresh fish and its traditional cooking very popular at bars and restaurants. Cuttlefish, marinade shark, anchovies, sardines, breaded shrimps… and a wide variety of tasty fish to taste in Seville. 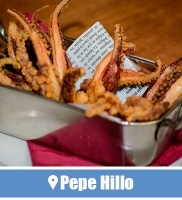 We especially like it in Casa Pepe Hillo. 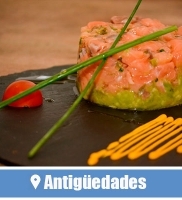 A bar with a young atmosphere but with the most typical tapas of Seville.